Comments Off on New ‘Game of Thrones’ slug found in Brazil, the ‘sponge effect’ of Latin America’s tropical forests, and Peru’s scientific cruise sails for Antarctica. Brazilian scientists have discovered a slug that lives on the northwest coast of the country which they dubbed Tritonia khaleesi in honor of the character from the renowned television series “Game of Thrones.” The slug can grow up to 12 mm long and has a white stripe along the body that resembles the braid the character wears in the series. 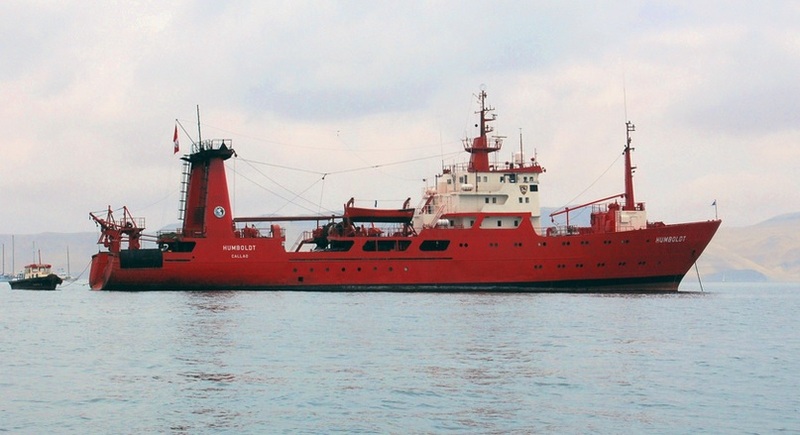 The Peruvian research vessel Humboldt sets sail for Antarctica. Martin Garcia via Flickr. Peru’s Humboldt scientific cruise vessel set sail for Antarctica to identify research areas on the white continent from now until 2021. The mission is further comprised of Argentine, Chilean, Brazilian, Chinese, American and Ecuadorian scientists. Scientists from the Smithsonian Tropical Research Institute are carrying out a study of 700 hectares close to the Panama Canal to determine the “sponge effect” of tropical forests. This effect decreases runoff during heavy rains and gradually releases the stored water in times of drought. Chagas disease, caused by the parasite Trypanosoma cruzi and transmitted by an insect that feeds on human blood, is a scourge of the rural poor in Latin America. For treatment of this disease, Canadian researchers found two compounds that inhibit an essential protein of the parasite. The marine biologist Juan Carlos Castilla, who won Chile’s National Science Prize in 2010, filmed a series of micro-documentaries called “La Fuerza del Mar” which aims to encourage children to study science. It will be broadcast on the educational channel Novasur. Colombian scientist Ana Maria Rey, a postdoctoral fellow at Harvard University, was honored by the White House for her work with cold atoms. Colombian researchers have found the first hemoparasite affecting hummingbirds. Leucocytozoon quynzae is transmitted by an insect and was known until this investigation to infect birds like ducks and turkeys. A biomedical research lab in Buenos Aires is studying the role of the ubiquitin protein and other proteins with similar functions in protein degradation and their involvement in diseases and the control of biological processes. The biotechnologist Julieta Cabello was lauded as Santafe, Argentina’s scientist of the year. She looks at the HaHb1 factor in sunflower plants and how it induces resistance to certain abiotic stresses such as drought and salinity. A scanner will be available in Jose de San Martin hospital in 2014 to detect oxidative stress and aging. This device emits white light at the skin which is absorbed by carotenoids (antioxidants) and returned to the source as a spectrum of colors ranging from blue to red. The more blue is in the spectrum, the more carotenoids in the skin. Mexican scientists have made ​​important advances in the study of cervical cancer. As part of an international team, they performed a genomic analysis of cervical cancers of Norwegian and Mexican women and identified 13 mutations linked to breast cancer. Eight of these mutations were not associated with cervical cancer and two had never been described. Venezuelan and American scientists discovered a new plant in the Andean highlands. Coespeletia palustris belongs to the family Compositae (same daisies and sunflowers).